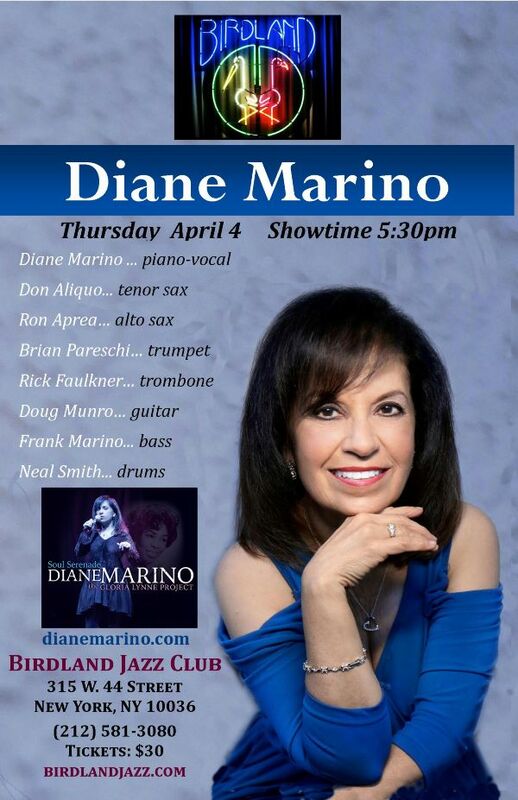 Birdland Jazz Club is proud to welcome back Jazz Vocalist & Pianist Diane Marino to perform the music of her critically-acclaimed new release, "Soul Serenade – The Gloria Lynne Project. 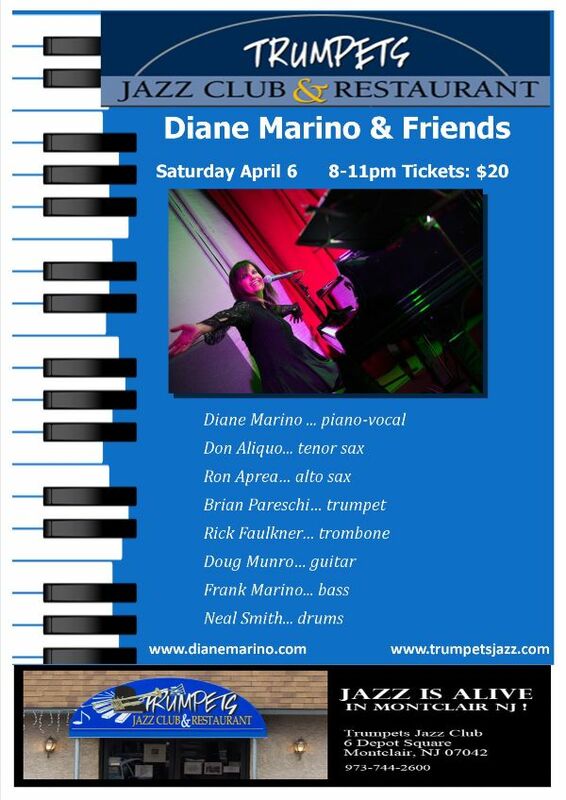 Diane will also perform selections from her previous CD’s including songs from The Great American Song Book, Jazz Standards and Brazilian Jazz. M&M Records Recording Artist Diane Marino has recorded six CD’s- all of which have received widespread airplay and critical acclaim. She has recorded and shared the stage with jazz legends Houston Person, Ralph Lalama, Joe Henderson, Wycliffe Gordon, Harry Allen, Pete Escovedo, Tania Maria, Kirk Whalum, pop music icon Felix Cavaliere and many others.